Moving your salon business from survival mode to prosperity mode! Is your Salon Career in Survival Mode? Are you operating with a survival mindset or Prosperity mindset in your Salon Career? Yesterday, inside my private group, “Mind Your Business For The Beauty Industry” on Facebook, I began a series on The 4 P’s To A Prosperous Salon Career. Before I ever got into what the details of the series were, I taught them about mindset. I shared how when I first started as a stylist, I worked in a really, really busy salon and I made pretty good money, at least for a 20-year-old who didn’t have a lot of other responsibilities. Just starting out in my career, after about 8 months to a year, I begin to get the “big head”. I decided it was time for me to step out on my own and go forward to renting a booth. Guys wouldn’t you know, it flopped! I ended up having my vehicle repossessed! Guys, what happened? How did I go from having all of these clients to now not even having enough to pay my normal living expenses! Over time I realized, I did not know the business side of hair. I could do the skill set, but the business side…. I didn’t know it! And… my mindset at that time was totally focused on learning skill set ( how to do the latest styles) not knowing that there were strategic things that I need to do( marketing, proper promotions) in order to maintain the customers that I had previously. The salon I was at …did all the marketing. They did all the getting, maintaining clients, and the strategies that would teach how to profit. What happened when I left? I went into survival mode. So I was only doing enough to get me by for that day. You know the never-ending cycle where you feel like you are chasing clients instead of attracting clients! Where you are just praying for enough to pay immediate bills. It’s such a trap that most don’t recognize because there are no strategies in place to make more. The focus is ALL off, and going to work behind the chair just becomes routine. I did not have a Prosperity Mindset! Survival Mindset only focuses on what they need to do to get that client in the chair for today… to make it for today! There are absolutely no strategies in place that will give them a continuous flow of customers. With a Prosperity Mindset, regardless of the economy, regardless of whether it’s July (Statistically the slowest month of the year for most business) a Prosperity Mindset puts strategies and systems in place that helps to assure they have a consistent flow of clients coming all the time. This subject means a lot to me because I’ve experienced being on both sides of the spectrum. I have to always do a self-check-in my own business to make sure I am maximizing my efforts and always focused on growth for my business. It’s something you should do too. Because it registers so much with me, I also shared it with my followers on my FaceBook Fan page. You can catch the video Here! I actually have a free Mindset “Money Nugget” Assessment to those in my Private Group on Face book. If you are a Hair Stylist or Salon Owner, feel free to join us in the group to grab yours and catch our new Series, “The 4 P’s to a Successful Salon Career.” Our first training was live on Tuesday and will be up in the group until our next part of the series on Next Tuesday! Client Building systems that you put in place, do consistently, tweak and do again. 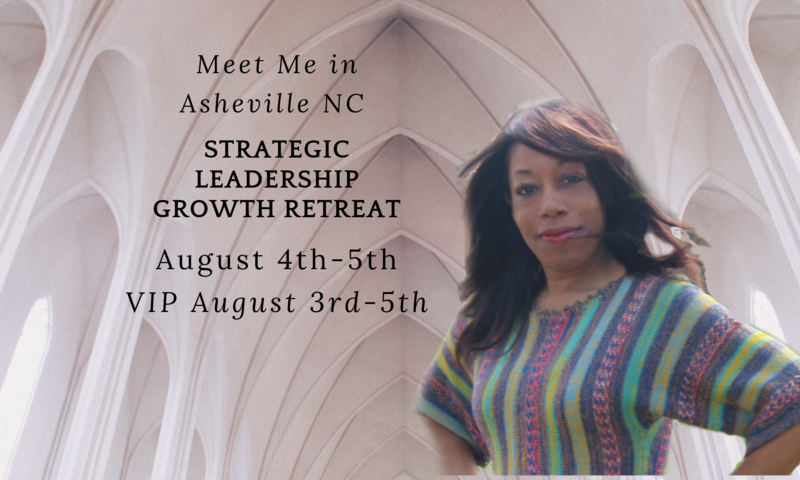 Have a strategic plan for your business growth each year, every 90 days, weekly, and even daily! There isn’t a lot about a Salon Ownership or being a successful Hairstylist that’s random. Although we are artsy and free-spirited (Such creatives), we need consistent systems if we expect consistent massive growth! Beauty Business Consultant to stars like you and every people who want to create a business and lifestyle they love! Next PostNext Do you ever Feel Overwhelmed in your Hairstylist Career?